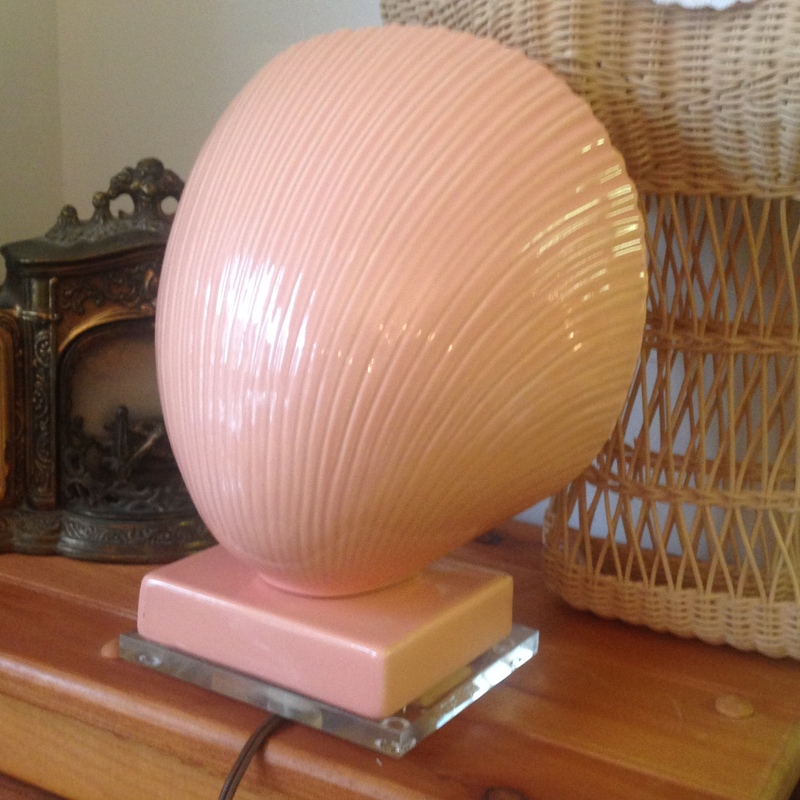 You’ve got to love this 1950s vintage salmon-colored ceramic & lucite lamp in the shape of a large shell. It’s such a great reminder of a simpler time in our history, when pastels made an appearance in the most unexpected places. Just $30 at Heritage Collectibles. 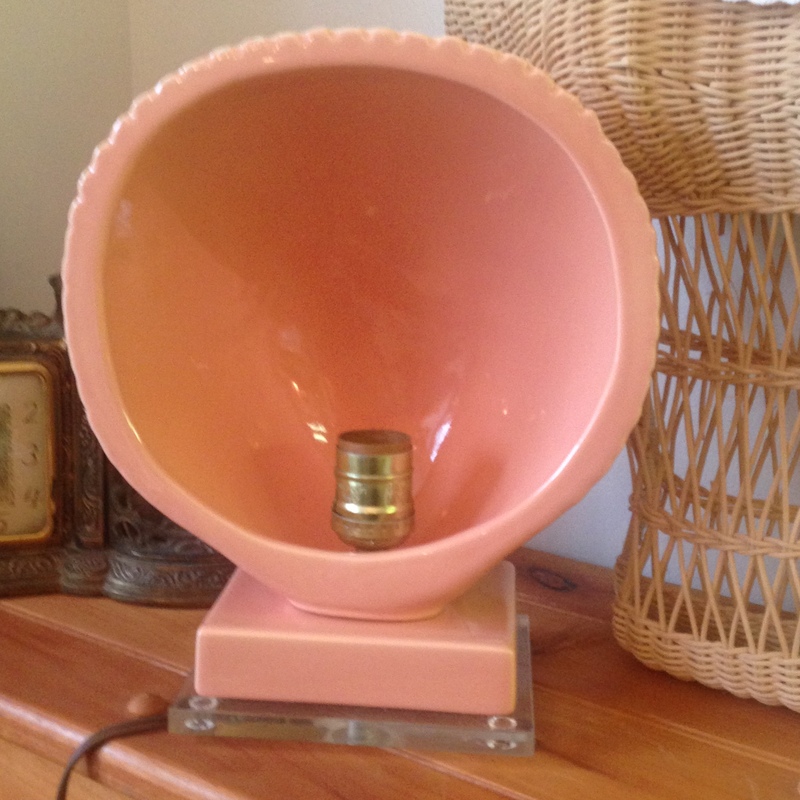 This entry was posted in Books - Cookbooks and tagged Americana, antique, art, Heritage Collectibles, kitsch, lamp, Lewiston, lighting, lucite, pink, salmon, shell, vintage. Bookmark the permalink.